CottageCutz Tea Time Doily dies. Other: hemp cord, button, brads. Super CUTE Frances!!!! 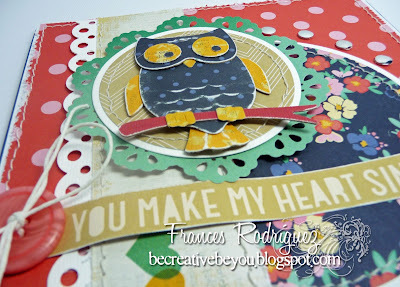 I LOVE the owl & papers you used!!!! 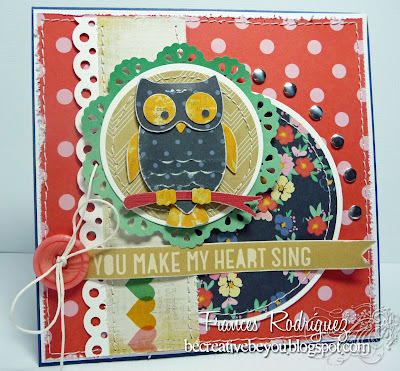 Happy and colourful card. Good combination. Frances this is just darling. What fun papers and colors for your gorgeous creations. It makes me smile! Oh, Frances, this is SO lovely! 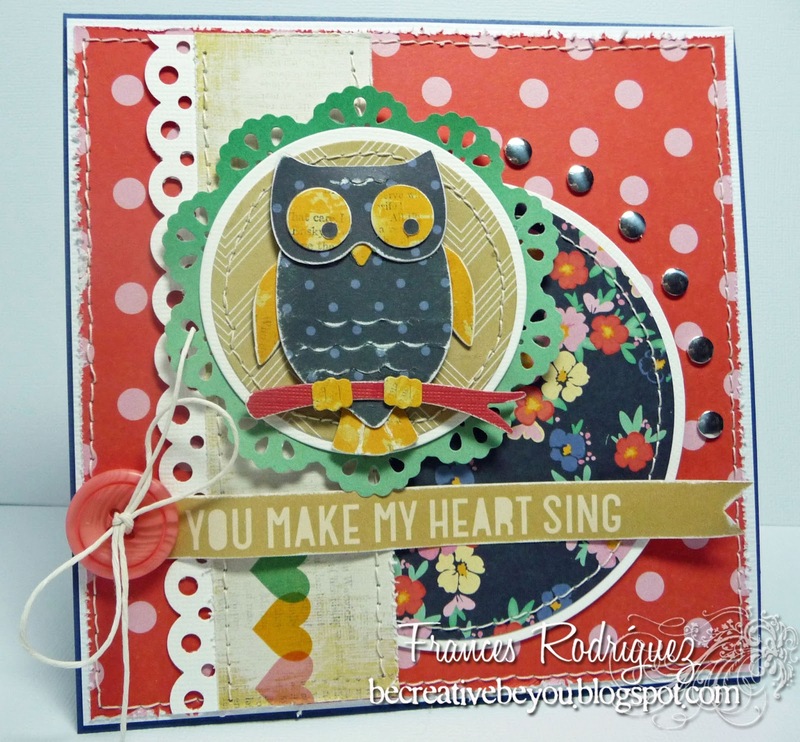 I like the Stylized Owl die! This is just darling! The owl is sooo cute!! !